Superstar Rajinikanth, who is rumoured to be planning a political entry soon, said he has been in discussions with political leaders and will announce when things are finalised. However, he didn't clarify the purpose and nature of his meetings with political leaders. "I don't deny meeting them. We are in discussion and I will make an announcement when things are finalised," Rajinikanth told reporters at the airport here on Thursday. Earlier this week, Rajinikanth met members of the Hindu Makkal Katchi at his residence here. 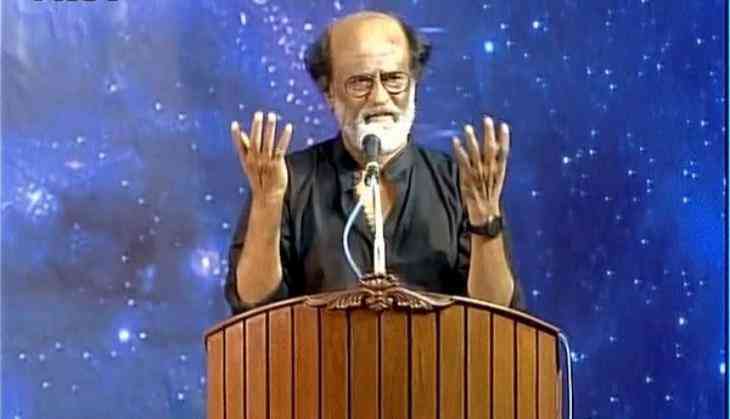 Last month, while addressing a large gathering of his fans, Rajinikanth said he will choose the path of politics if "God willing". "God decides what we have to do in life at every phase. Right now, he wants me to be an actor and I'm fulfilling my responsibility. If God willing, I will enter politics tomorrow. If I enter, I will be very truthful and will not entertain people who are in this to make money. I won't work with such people," he had said. On the career front, Rajinikanth is currently shooting for Tamil gangster film "Kaala".